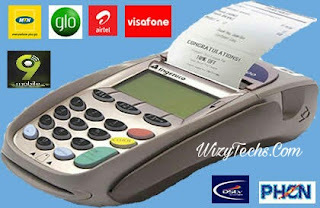 Few years back, recharge card printing business was one of the hottest business in Nigeria that created many job opportunities for both graduates and non graduates. But now the business is fading out, dying and no more lucrative. Because of high rate of unemployment in the country, many people dived into alternative business to put food on their table, pay for house rent and other bills. Among those businesses was printing of recharge card. Though it requires about N150,000 to start the business in a big way as a wholesaler but you can also start with as little as N10,000. All you need to do is to get yourself registered, purchase generated PINS, then print them and provide all willing consumers with them. ✔️ Online printing option:You can do everything online these days. It is possible to print these GSM Pins from the website or apply to direct sending of PINs to customers. ✔️ POS machine printing variant: While using POS machine, you are given an opportunity to print these recharge cards on demand. 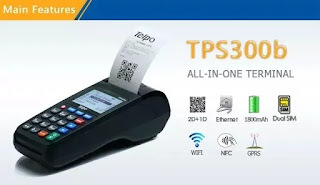 You can start the activities immediately after getting your POS machine. After that, you may start to receive customers' orders. ✔️ Software option: This way, you will get the software from the dealer. The next action is to buy recharge card PINs and send them via e-mail. ✔️ E-PIN manager option: You can choose whatever network option you want. You can work with any dealer. It is rather cheap. As you can see this is a great business that can make you a self employed Nigerian but why is it no more recommended or lucrative in Nigeria this 2018? Read on. The introduction of internet and smartphones has really made life more easier but it has its own disadvantages. Remember, because of new technologies, many bankers has lost their job to robots. So, now that there are easier options of buying recharge cards with E-Top up platforms, people prefers topping up directly from their phone instead of going to vendors outside to buy recharge cards. There are many online payment services including apps that you can through them, buy your airtime and data from the Comfort of your house or office. To make the matter worst for offline (roadside) recharge card sellers, easy USSD Short codes has been introduced by Nigerian banks to buy recharge card despite the phone you are using. This means whether you have internet connection or not, you can easily dial a simple code to TopUp your SIM card. Once this is done, the monetary equivalent will be deducted from your bank account. This has dealt blow to the recharge card printing business and as it stands now, the business is no more a hot cake and it's dying. SEE ALSO: How to Spot a Bitcoin Scam. The same way blogging business is gradually dying. Don't forget the new š.'ë. 'x Doll trending now. Very soon, it will displace the runs girl and take over their work. Technology is doing so good as well as harm to some businesses. Are you a recharge card seller? How is the business now? How are you coping? I was even thinking about this in particular when I recharge my phone on Monday,how will those selling the card make money ,whereby almost everyone is recharging via online or offline.